To improve in all the equestrian disciplines, you will absolutely have to buy a horse saddle of good quality. You can choose from the many models of used saddles for sale or new models available from horse riding professionals . In any case, you must choose well yours to perform in any discipline. How to choose your riding saddle? Finding a saddle is a crucial step for any rider. The choice must take into account several criteria. You must take into account your weight, your size and the morphology of your horse. But, you will also have to choose your saddle according to your budget. The saddle must be suitable for your horse. An unsuitable saddle will cause discomfort for you and may hurt your horse. If you have no idea about the type of saddle that will fit you and your horse, do not hesitate to seek advice from a specialist, such as a saddle fitter for example. What use for your saddle? Riding is divided into several disciplines: training, endurance, hiking, etc. 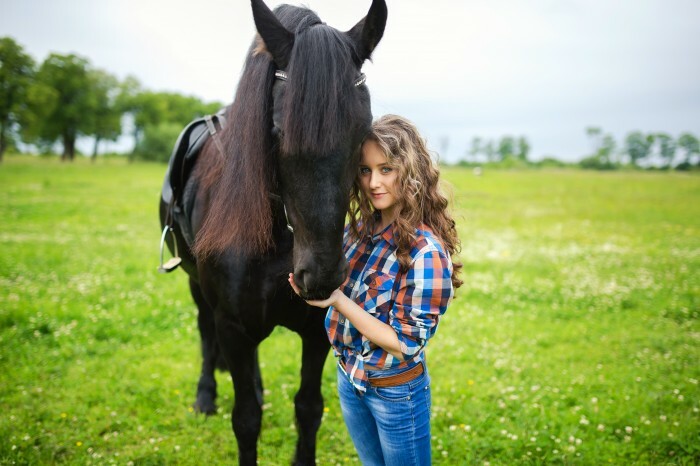 If you want to indulge in all these activities, you will have to choose a versatile horse saddle. More and more specialists in horse equipment are selling mixed saddles. However, if you are looking to perfect yourself in a single discipline, the ideal is to buy a saddle designed specifically for this discipline to be the best. Indeed, each saddle has its own characteristics. A good saddle should leave your horse's spine free. It must not be either too long. To practice serenely all disciplines, the mixed saddle is the one you need. However, you may have to assemble different horses for each sporting activity. Check that the saddle is suitable for each of them, otherwise you will risk to hurt one of the horses. Also remember to have your saddle checked regularly because the back of a horse develops with age.